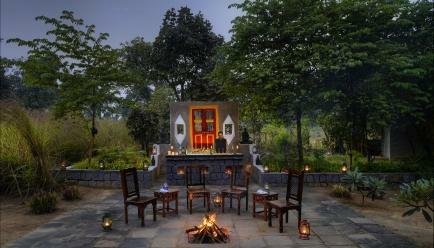 A visit to Courtyard House, Kanha is taking a trip down memory lane! With a touch of traditional ethnic design, this alluring property confines British Indian architecture, dating back to the Raj. It perfectly merges with the surrounding of local tribe settlement and augments the tiger land. 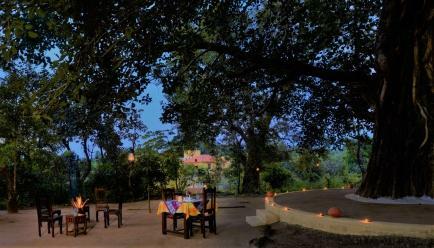 Speaking of tiger land, how can we forget the immensely wide range of experiences Kanha National Park offers! 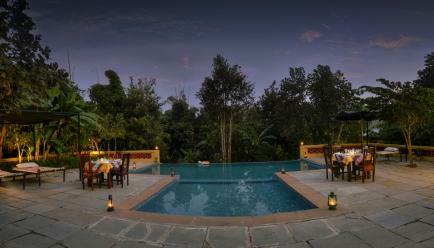 From safari to bird watching tours to evening sun downers by the poolside, it surely qualifies for an unmissable trip. 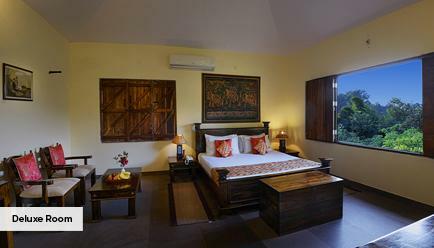 Set amidst the enchanting forests of Kanha National Park, this super-luxurious property offers a jaw-dropping retreat in the woods and poolside setting in tranquility. And if you think this is all you can ask for during a holiday, hold you thought right there. All these things are augmented with personalised care, palatable cuisine and cozy ambience. 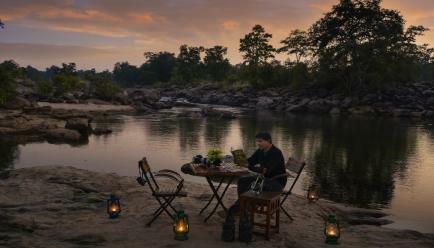 The clime and shine of Kanha Tiger Reserve, the esoteric farmhouse like setting, luxurious amenities, own private setting - well, these are the least of things you get from this vacation. 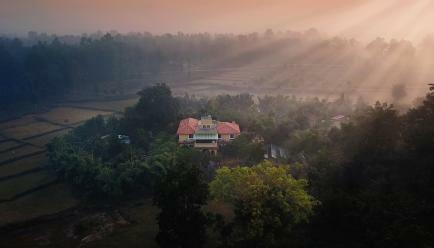 Not just at Courtyard House, Kanha, there are a lot of experiences you can wallow in around the location. You can explore Khatia Gate, which is a short past Mocha village. 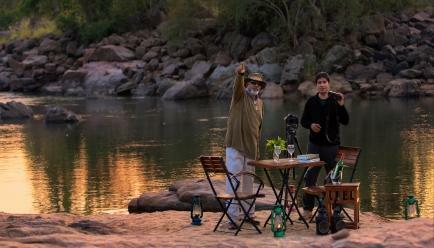 Tiger Safari, bird-watching are some of the other highlights of the location. This is the most serene and adventurous location you can ask for. Location in the big cat infested buffer zone at Soona Ghat, this paradiso offers a complete private retreat which gives a new perspective to your wildlife adventures. And when you’re not indulging these activities, the world-class amenities are there to keep you relaxed throughout. When you stay at Courtyard House, Kanha, you don’t just get a room; instead, you get a space of grandeur, spectacular view and Kanha landscapes and modern luxuries. Comprising of five rooms, each one of them is furnished with full consideration of your needs and wants. 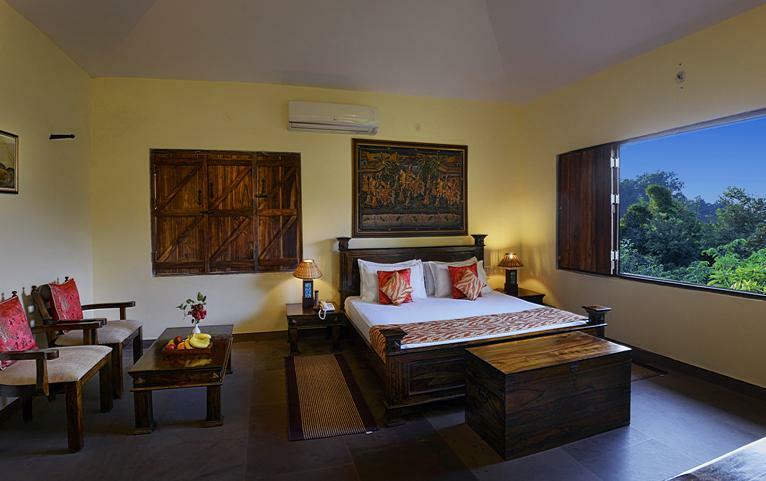 The beds with soft mattresses, cozy pillows and fully equipped bathrooms...get ready for a memorable trip in the heart of India! Extra Guest Policy: For Deluxe Room, an extra adult can stay at a surcharge of INR 2000 per room per night, with the package inclusions, payable directly at the resort. Child Policy: A child (aged between 0-5 years) may stay free of charge with existing bedding. A child aged between 6-12 years may stay at a surcharge of INR 2000 per room per night which includes the package inclusions, payable directly at the resort. The Kanha National Park will be closed during the month of July, August and September and reopens from October. Kindly contact our travel concierge team to book Safari via e-mail address travelconcierge@fabgetaways.com or by phone +919099061000. Dry cleaning/Ironing: Whatever it takes you to look your best during the vacation, we are here to help you. Concierge: Get all your requirements met with just one call. In-house phone: Whatever you need, you’re just a call away! Coffee Tea maker: Siping at a cup of tea or coffee with lush green forests in the foreground! A dreamlike setting, indeed! To reach Kanha by air, you have to take a flight to Jabalpur. Flights are available from all metro cities. From there, a drive for around 5 hours will take you to Kanha. From Mumbai, Kanha is a 20-hour drive via MP Sh 26. The closest station to Kanha is Jabalpur, trains to which is available from all metro cities. From Jabalpur, you drive down for 114 kms to reach Kanha.